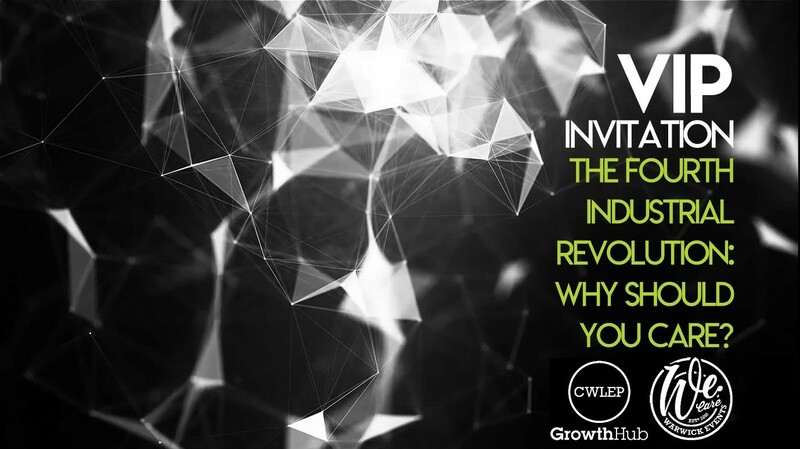 Invited guests from some of Coventry and Warwickshire’s leading employers will attend an exclusive interactive event demonstrating how technology can work side by side with employees to take businesses to the next level. RDM is among those attending the event organised by Business Solutions, the commercial arm of the Coventry and Warwickshire Local Enterprise Partnership’s Growth Hub, in partnership with Warwick Events and Coventry-based factory automation specialists FANUC UK. It will showcase a range of new technology including robotics, virtual reality and artificial intelligence, showing the way different innovations can benefit different types of businesses across all sectors. Entitled “The Fourth Industrial Revolution: Why Should You Care?” it will feature a number of demonstrations, including JLR and the fire service. The fire service will use virtual reality to show people how to manoeuvre safely in a room that has experienced a fire without interfering with forensic evidence. RDM, a key player in the government effort to place the UK at the forefront of driverless vehicle technology, will display one of its high-profile autonomous vehicles. Up to 200 CEOs, MDs and key decision makers and influencers are expected to attend the invitation-only event, representing a range of sectors including tourism and leisure, advanced manufacturing, automotive, professional services, low carbon, creative industries and intelligent mobility. The aim is to show the advantages technology can bring to a company and its employees, helping members of the workforce to advance in their own careers. Rather than a sit-down event with speakers, guests will be encouraged to talk and exchange ideas. There will be a series of presentations from companies showing how the technology has benefited their own businesses. The one-day event is the highlight of the Coventry and Warwickshire Business Festival, taking place across the area from November 19th to 30th. Jeremy Moore, Business Mentor and Commercial Manager at the Growth Hub, said: “We are proud to be holding this event which is the first of its kind in the Coventry and Warwickshire Area. It will take place at the Ansty Business Park, the UK head office of FANUC – a world-leader in factory automation which will showcase the latest in its own technology, including 25 working robots on display in its showroom. After doubling business between 2013 and 2017 FANUC moved into its existing £19 million facility. It is hoped FANUC will continue this rate of growth over the next four years. FANUC’s aim is to show local businesses of all sizes the advantages of automation and how it can help companies progress by introducing technology to complement their workforce. The Fourth Industrial Revolution: Why Should You Care? takes place at FANUC on November 27th.